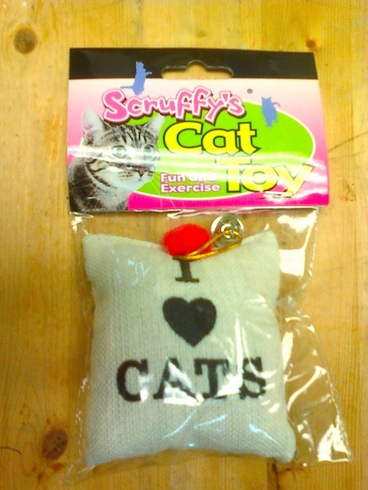 This cat toy is filled with irresistible catnip! Says "I Love Cats" In bold text and has a little bell attached so you know if your cat has run off with it again. Measures 4"